Brad Fittler's New South Wales side has received a major boost in its Origin defence for 2019 with Broncos star Tevita Pangai Jr committing to Origin over Tonga. Pangai Jr missed this year's Origin series after appearing for Tonga during the Origin series, but is in line to make his Origin debut in 2019 according to Fittler. "He's committing to the Blues for the series this year," Fittler exclusively told Nine News. "He understands that there's a Tongan test match in the middle of that. He's happy to walk away from that. He'll get the chance to play for Tonga at the end of the year. "He's a really good player. I look forward to him coming down and putting a lot of pressure on the other players." 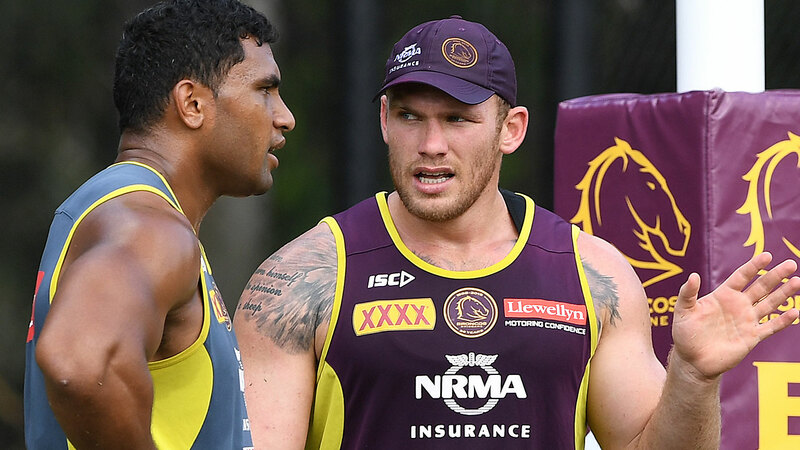 Fittler also defended his decision to include Pangai Jr's Broncos teammate Matt Lodge in his development squad. "I never knew Matt in October 2015," he said. "What he did for Brisbane this year, he did under a lot of pressure and a lot of scrutiny, and I thought he did a pretty good job. "No one can change what happened in the past but once again, I just want to get him involved and get to know the bloke."